See all fundraising efforts in one place. No need to buy additional modules. With the MatchMaker FundRaising Software Team, you will never feel you are on your own. Two different deployments, one great application. Choose the platform that best matches your organization. MatchMaker FundRaising Software is uniquely designed for small to medium size organizations. Supplying all the tools to manage a comprehensive fundraising program, MatchMaker enables organizations to efficiently cultivate donor relationships and maximize their fundraising efforts. Research under the auspice of the Urban Institute in Washington, D.C. has demonstrated that appropriate and timely communications make a significant difference in retaining donors and in increasing their charitable gifts to an organization. The easiest way to expedite the management of information and communications is with non profit software designed specifically to enhance and monitor these functions. 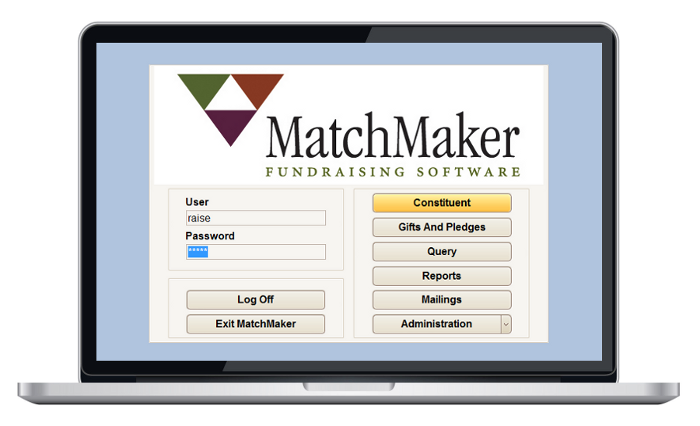 MatchMaker FundRaising Software architects built the software with features to help increase the likelihood of donors continuing to be engaged with an organization and increasing their donations to the organization. 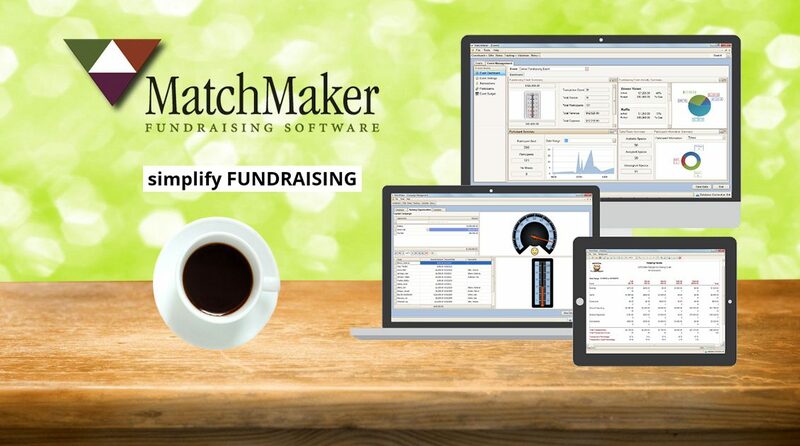 MatchMaker FundRaising Software provides you with a tool to manage diverse groups such as individuals, corporations, foundations, civic organizations, government entities and other groups that support your organization’s mission. Staff turnover and volunteers are a reality of fundraising. That’s why we designed MatchMaker to be simple to learn and simple to use. Yet MatchMaker is powerful enough to enable even the most casual user to implement a dynamic and personal dialog with donors. MatchMaker FundRaising Software has separate transaction screens for gifts, pledges, pledge payments, in-kind gifts, events and membership. Each transaction screen provides fields for recording information specific to that type of transaction. From the simple to the complex, the data you have so carefully secured, entered, and maintained can be quickly made available in easy to comprehend, yet detailed reports that will enable you to plan all your fundraising activities. 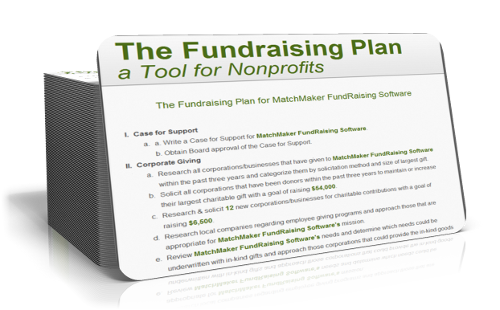 Crafting a fundraising plan got a little easier for your organization with the help of MatchMaker FundRaising Software’s newest tool. The Fundraising Plan is a free tool designed to enable your organization to easily create a fundraising plan that will serve as a guide for all of your fundraising activities. This tool simplifies the process of writing a fundraising plan by providing a decision-making framework for multiple fundraising activities, including corporate giving, foundation giving, individual and major donors, special events and more.